Posted from Amsterdam, Noord-Holland, The Netherlands. This was written by admin. Posted on Monday, August 13, 2012, at 9:35 pm. Filed under Amsterdam. 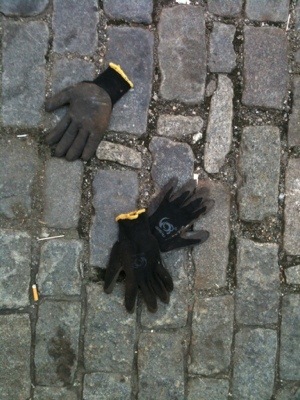 Tagged black, gloves, grey, pavement, yellow. Bookmark the permalink. Follow comments here with the RSS feed. Comments are closed, but you can leave a trackback.